A commitment to providing a stimulating and inspiring learning and teaching environment for his students has led to a National Teaching Fellowship award for Nottingham Business School’s Professor of European Economics and Policy, Rob Ackrill. Economics is a vibrant, vital and fascinating subject to study. I want my students to share this enthusiasm. While their fields of expertise are many and varied, what they each hold in common is their commitment to learning and teaching. 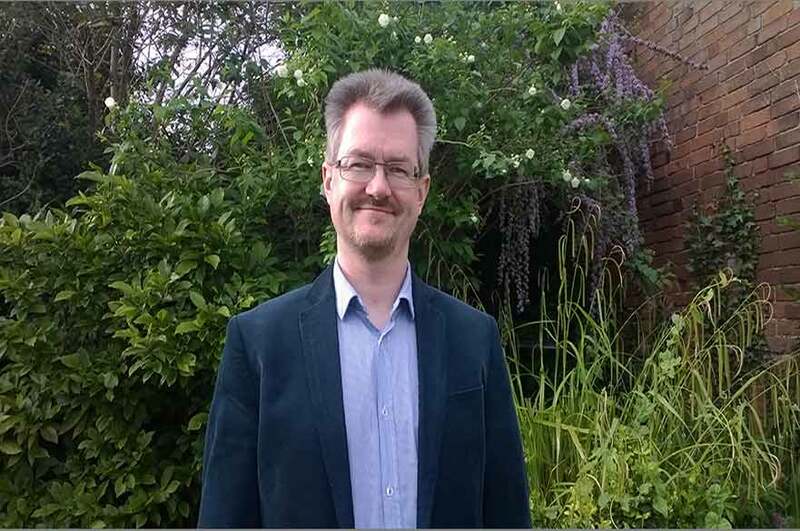 Rob's main teaching at Nottingham Business School, at Nottingham Trent University, is on the Economics of the European Union but he also contributes to a range of undergraduate and postgraduate modules on international and applied economics. He was nominated for the award due to his ability to link economic theory and real-world events, illuminating theory with examples and leaving the students wanting to learn more. Rob also aligns module content, student-led class activities and assignments, so students develop the skills to become independent learners. His use of a range of research activities also builds analytical and interpretive skills, which are valued highly by employers of Economics graduates. Commenting on the 55 new National Teaching Fellows, Professor Stephanie Marshall, Chief Executive of the HEA, said: "While their fields of expertise are many and varied, what they each hold in common is their commitment to learning and teaching, their dedication to their students, and their tenacity in sharing their expertise with others. What also strikes me about our National Teaching Fellows this year is their willingness to learn from others, showing us that learning is an ongoing process from which we can all benefit." Rob is no stranger to awards, in 2004 he was awarded 'Jean Monnet' funding to support the creation and initial years' teaching of his module Europe and the World Economy. In 2010 he was awarded a Jean Monnet Chair in European Economic Studies, again with funding which supports his teaching and his teaching-related research activities. In 2012 Rob collected the Nottingham Trent Students Union's Outstanding Teaching Award for Nottingham Business School, and in 2013 he was one of only two academics at Nottingham Trent University to receive the inaugural Vice-Chancellor's Teaching Award for inspirational teaching. The National Teaching Fellowship Scheme (NTFS) recognises, rewards, and celebrates individuals who are judged to make an outstanding impact on the student learning experience and has provided the means to develop a proactive community of National Teaching Fellows (NTFs) to benefit both institutions and the sector. Funded by the Higher Education Funding Council for England (HEFCE), the Higher Education Funding Council for Wales (HEFCW), and the Department for Employment and Learning in Northern Ireland (DELNI), each year up to 55 awards of £10,000 are made to recognise individual excellence. The award is intended for National Teaching Fellows' professional development in teaching and learning or aspects of pedagogy.